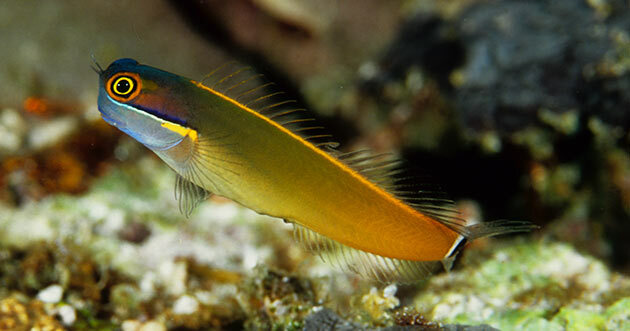 Researchers specializing in the taxonomy and diversity of Caribbean reef fishes thought they had all the information they needed on certain reef fishes. This was until DNA barcoding tests led them to discover an astounding seven new species from what they thought could only be three. This was found through the work of Smithsonian biologist Carole Baldwin. Most previous methods of analyzing the presence of different species relied on morphological characteristics, such as the number of fin rays, types of scales or pigmentation patterns on an individual. However, more efficient technology and a more thorough understanding of genetics has allowed for the technique of DNA barcoding to be developed. In this case, minor differences in morphology led the researchers to take a closer look at the species they were dealing with, and eventually resulted in the observation of minute differences in the genomes of the distinct species that had previously never been described. This type of genetic analysis is used more and more frequently in order to gain an accurate understanding of the species present in an area. For example, the wide array of metazoan zooplankton in the Sargasso Sea was assessed through DNA barcoding, which provides insight on just how useful this technique can be to monitor global biodiversity. I find this interesting because people are always mentioning how so much of our oceans have yet to be discovered, studied, etc. However, even the parts that have been researched remain not fully understood. With the advances of present day, places/species/etc. should be reanalyzed and researched further because it is possible that more knowledge is able to be acquired now in comparison to before. The ocean is a place of mystery. Such creatures/plants that are under-researched or undiscovered within the ocean could provide beneficial information to aid in the life quality of mankind or the understanding of these such samples could help us to better their life quality. I found the method of differing between species genetically by looking at DNA to be very interesting. I always figured that classifying different species of animals, including fish, was done visually and behaviorally to a lesser extent. While it may seem obvious to some, I never considered using DNA barcodes to classify different species. However, I do not think this is really an effective method. How would this test account for genetic variation from individual to individual and distinguish these differences from a different species? Perhaps these are questions are answered and accounted for in the test, but its worth thinking about considering how much variation there is among humans.